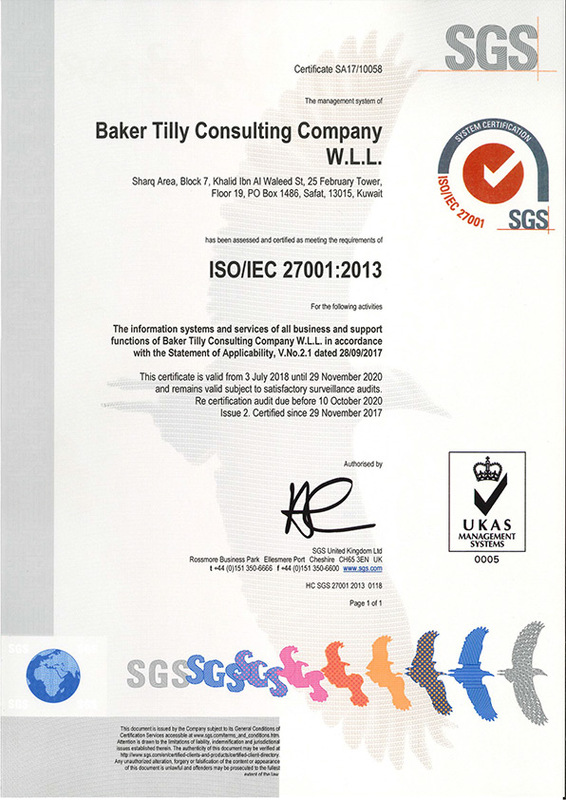 Such certifications emphasize the internal controls aimed at introducing quality Assurance, Business Consulting and Training services based on internationally recognized quality standards. 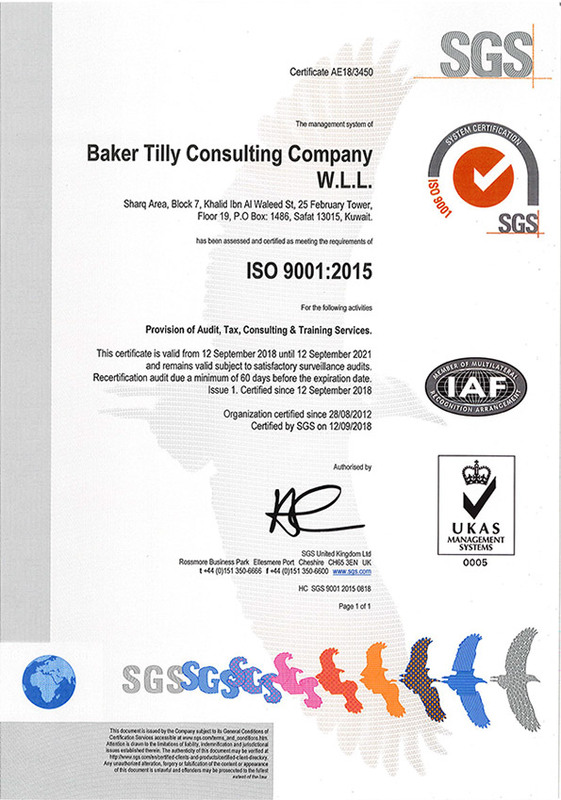 ISO 9001:2015 “Quality Management System”. 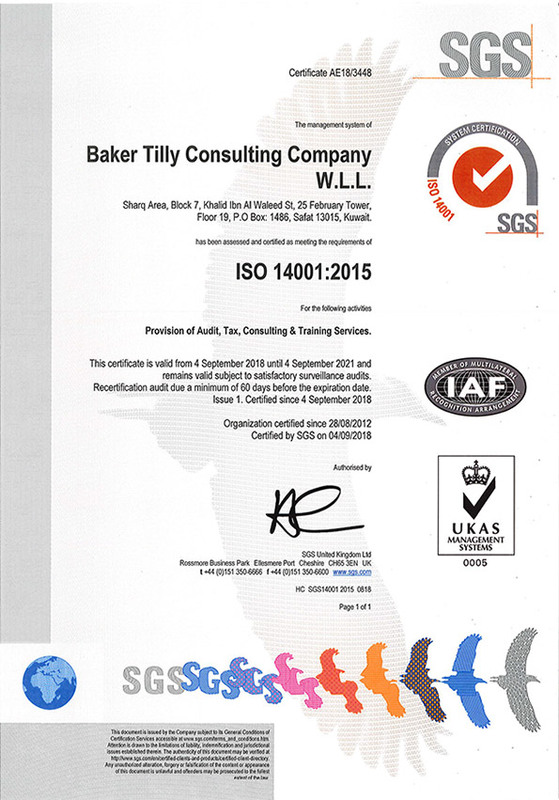 ISO 14001:2015 “Environmental Management System”. 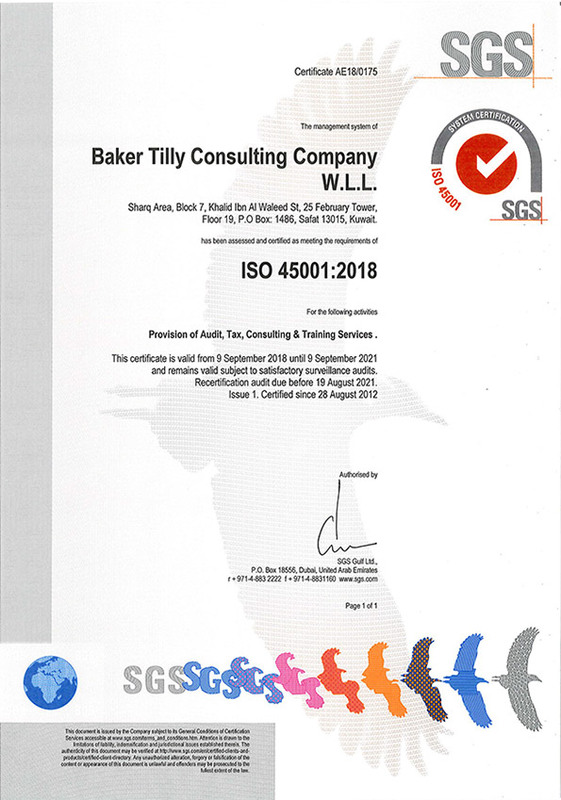 ISO 45001:2018 “Occupational Health and Safety Management System”.